Everyone has their favorite highlighters, but in my mind, Becca Shimmering Skin Perfectors are the Cadillacs of the highlighter world. 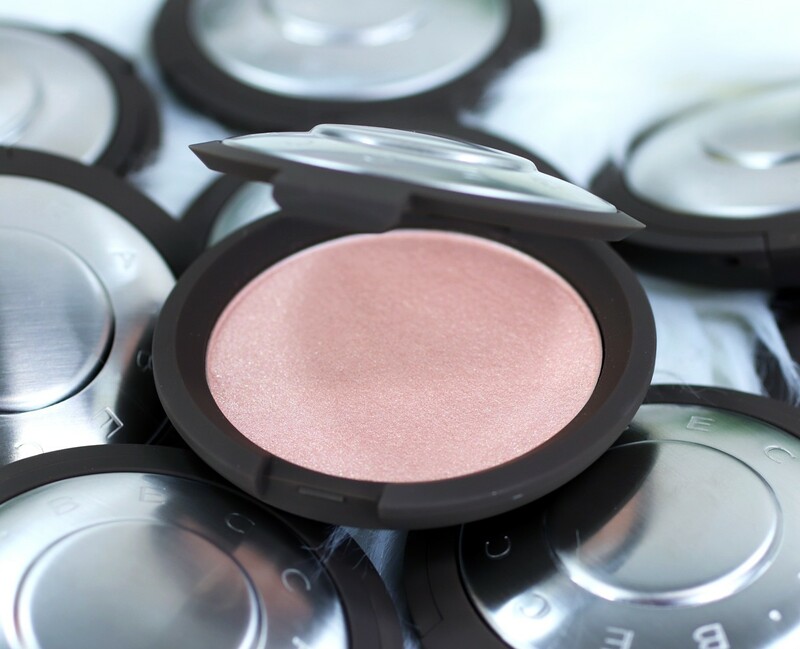 Becca gained a huge surge in popularity when they launched (the now cult classic) Champagne Pop with Jaclyn Hill about three years ago (or a lifetime ago in the world of cosmetics!). They have since launched many new products and shades, and have been immensely popular with a wide variety of age ranges and ethnicities. I read that about 55% of Becca’s consumers classify themselves as “non-White” and a little less than half are aged 35 and older. The price tag of the products ($38 for the Skin Perfector highlighters) puts them easily in the high end/luxury cosmetics range. The first time I tried one of Becca’s pressed highlighters (years ago), I was blown away with how buttery and silky the formula was. 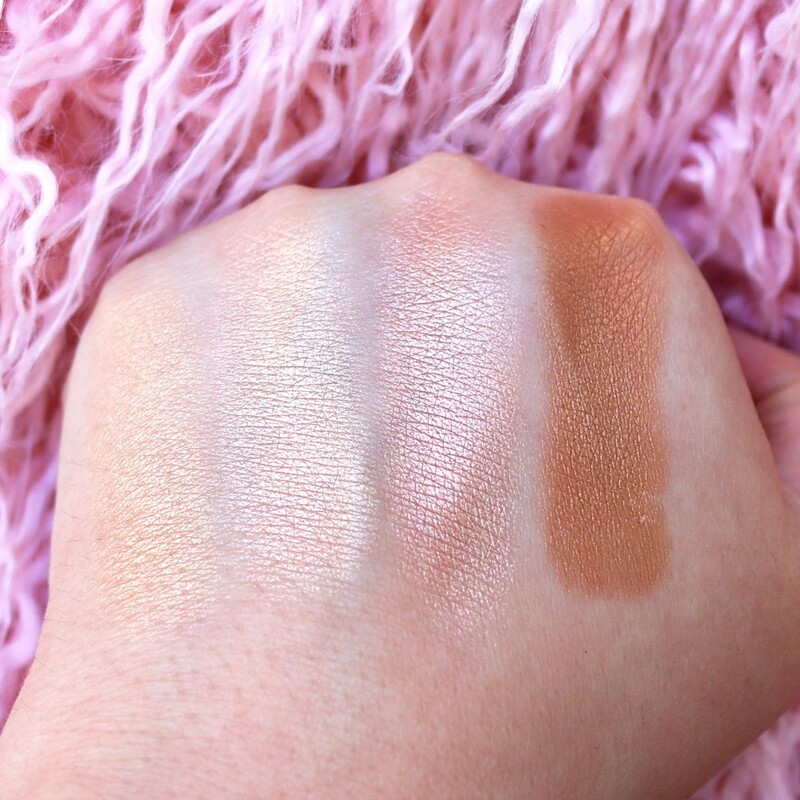 I now pretty much compare all highlighters and their “butter level” to the Shimmering Skin Perfector, which I view as the OG highlighter! They are very shimmery without ever being glittery (no big chunks of sparkle). 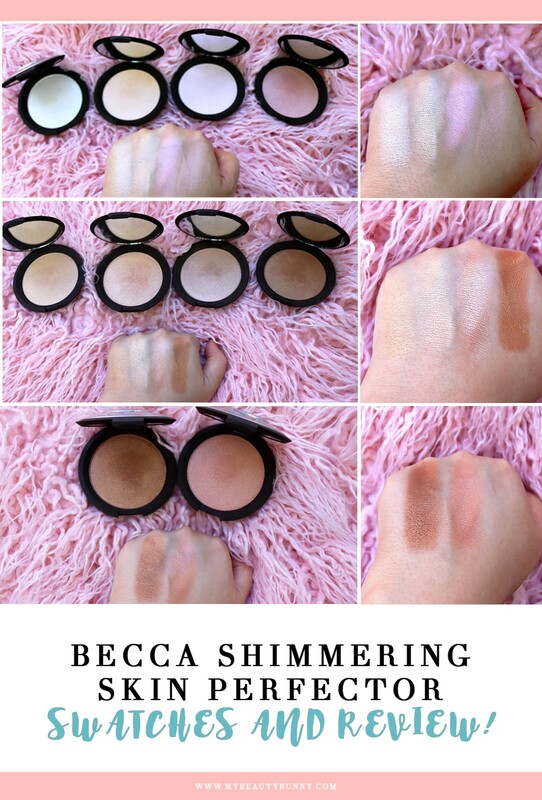 So, I was super stoked when Becca sent me all ten shades to swatch and review for you guys. The highlighters are easy to apply – a little goes a long way, and you get a lot of shimmer with a simple brush application. You can dust it on the tops of your cheeks, the tip of your nose, your chin, under your brows, the corners of your eyes, and the top of your Cupid’s bow. Basically put it wherever the sun would naturally hit, and the areas that you want to bring forward. And on the flip side, contouring with a dark, matte shade will cause areas to recede. 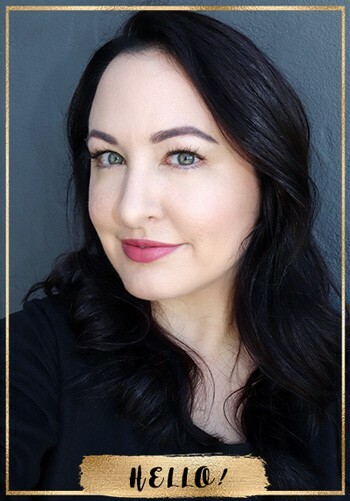 Chocolate Geode – chocolate brown with golden pearl – the darkest shade – it seems to have more red than Topaz does, and it makes a gorgeous all-over glowy bronzer for pale gals! Not pictured: Bronzed Amber (deep warm bronze with a pearlized glow), limited edition Lilac Geode (cool pink with golden pearl finish), Dreamsicle (tangerine with vanilla and gold), limited edition Champagne Gold (very yellow gold), Golden Mint (light mint green that transforms into gold on the face – I gotta try this one! ), Smoky Quartz (cool mauve rose), and Vanilla Quartz (very light gold with pink pearl). 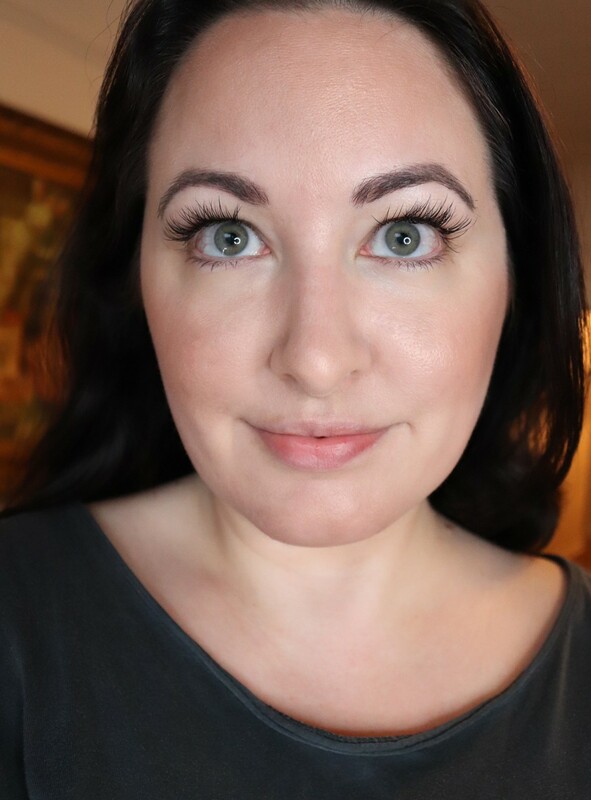 In the pics above, I’m wearing Becca Shimmering Skin Perfector in Moonstone on the tops of my cheeks and tip of my nose, and I paired that with Topaz as an all-over bronzer. 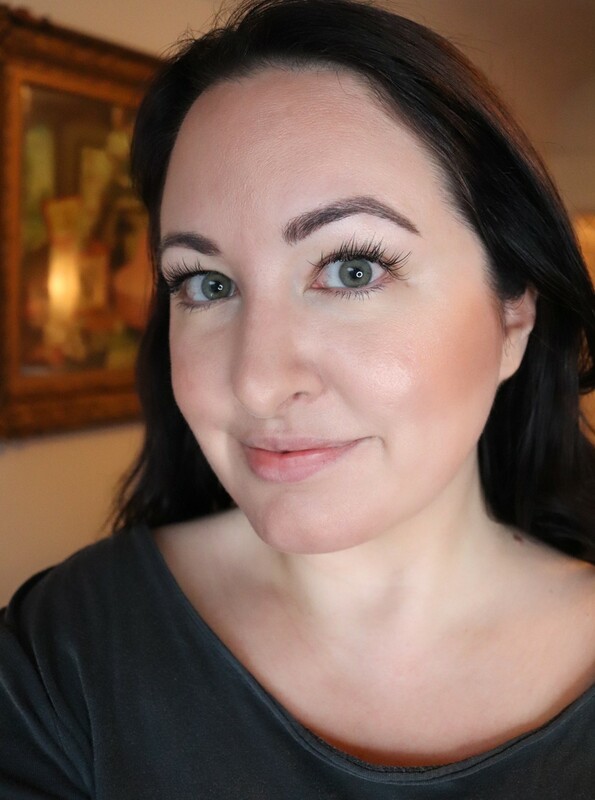 I’m wearing Alima Pure powder foundation (acne safe – and covers my spots very well!) in Beige 1. 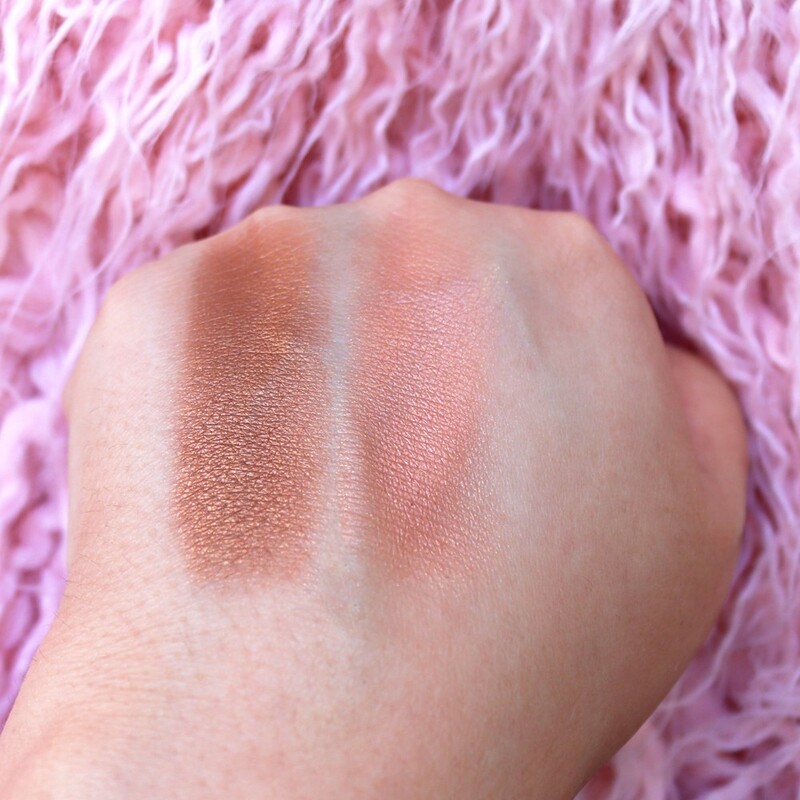 The highlighter and bronzer looks more glowy and pretty in person – perfect for summer. 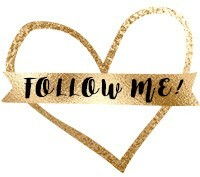 When my fiancé, Gregg, came home, he immediately said, “Wow! You look beautiful!” That’s a win in my book! 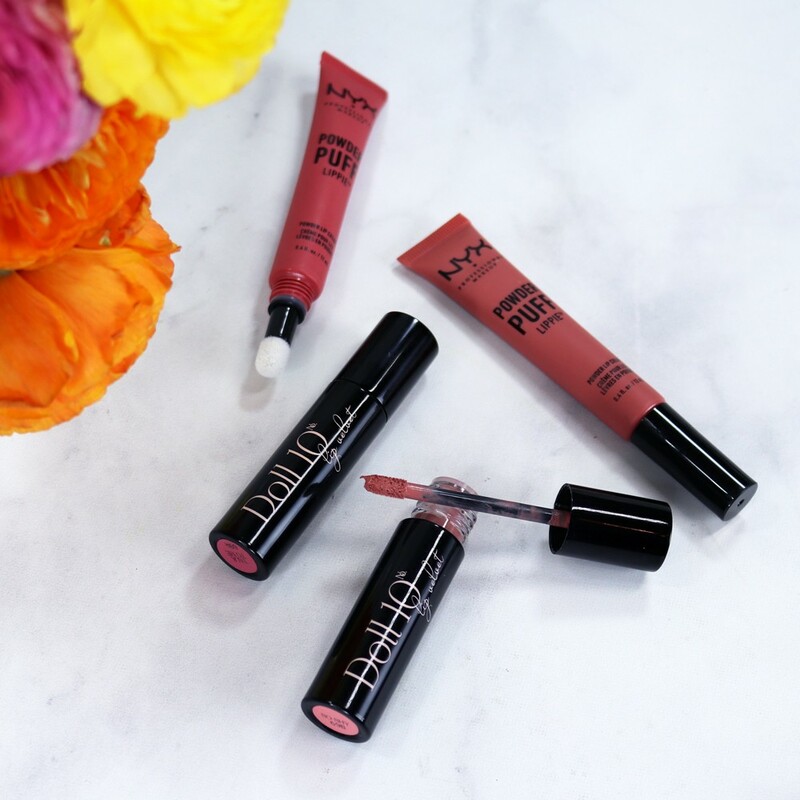 The formula is top notch, and I really love that there is a shade for almost everyone in this collection. 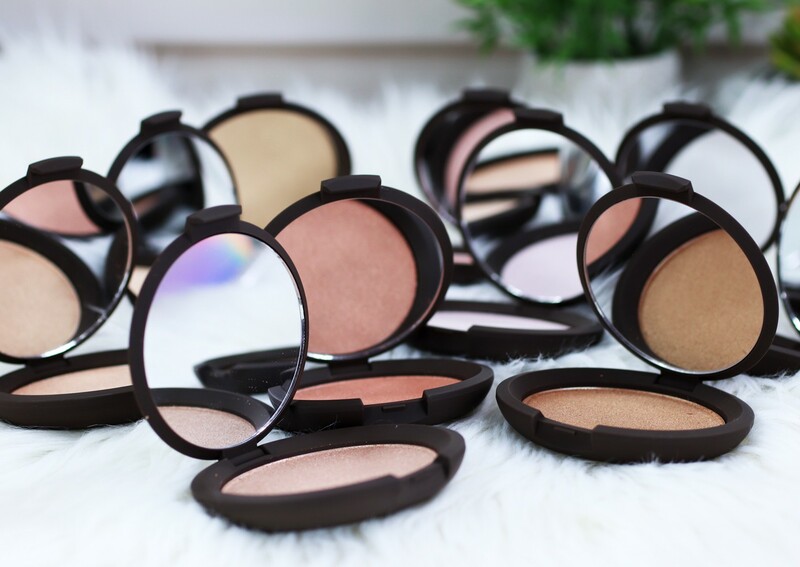 Becca does a great job of being inclusive, and that is something that beauty lovers would like to see ALL color cosmetics brands doing in the near future. You can find these at Ulta and Sephora for $38 each. 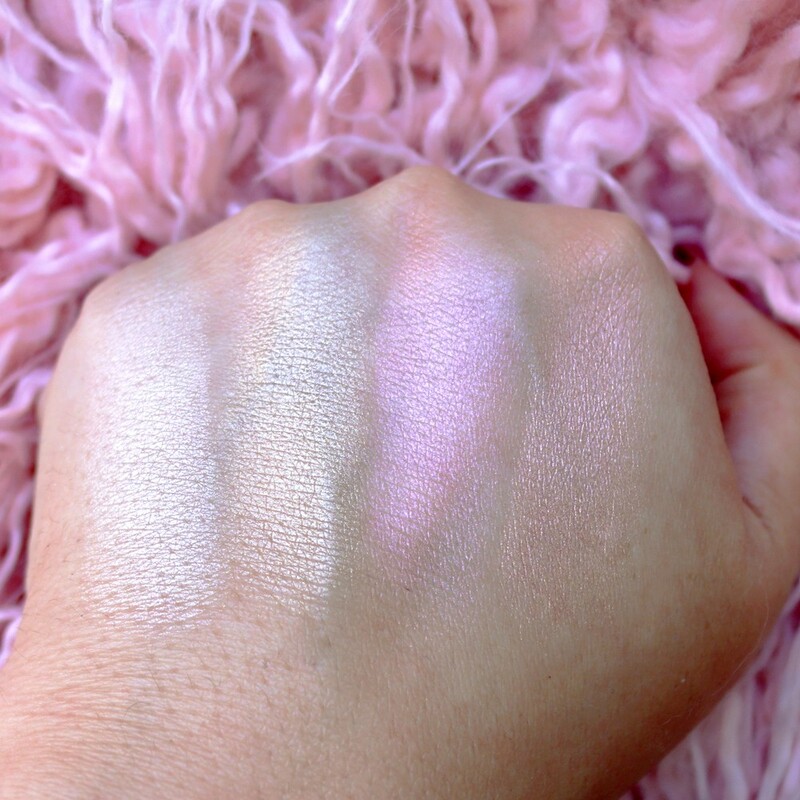 Click here to see even more cruelty free highlighter reviews! These are just mesmerizing. I especially love the first four, they glow. These are just soooo pretty! I agree BECCA is the gold standard of highlighers! I have Vanilla, Opal and the LE Parisian Lights is spectacular! Ohhh I haven’t tried the Parisian Lights one yet! I love and want every single one of the darker shades! Love that some of these are cooler toned! Some of us don’t wear warm tones well – I have Moonstone and Vanilla quartz and I’ve been tempted by Pearl and Prismatic Amethyst. 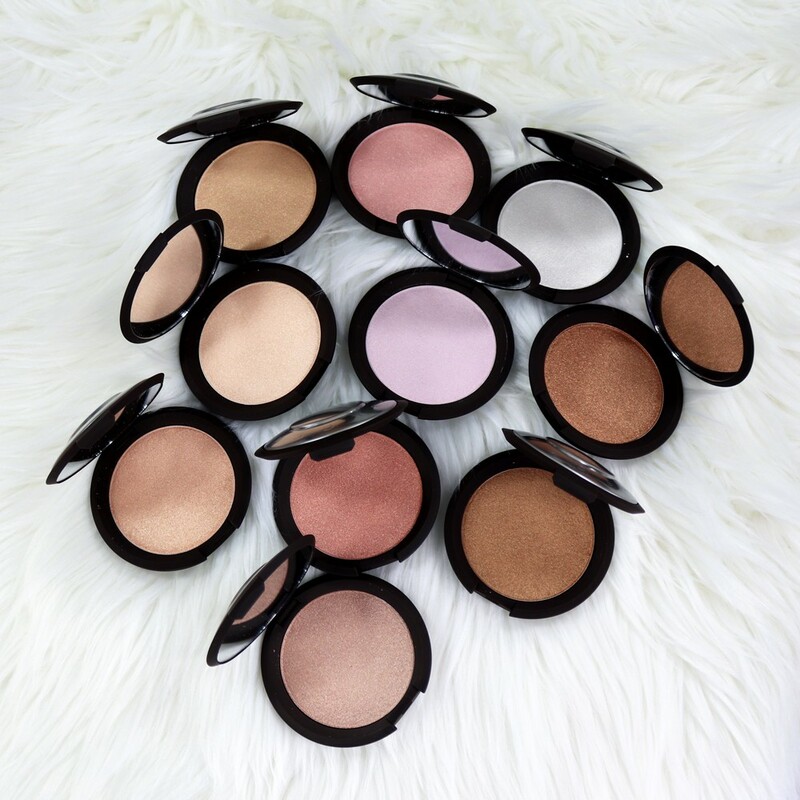 How much highlighter does a girl need *laughs at stupid question* – all of them. Becca is my favorite of all highlighters! 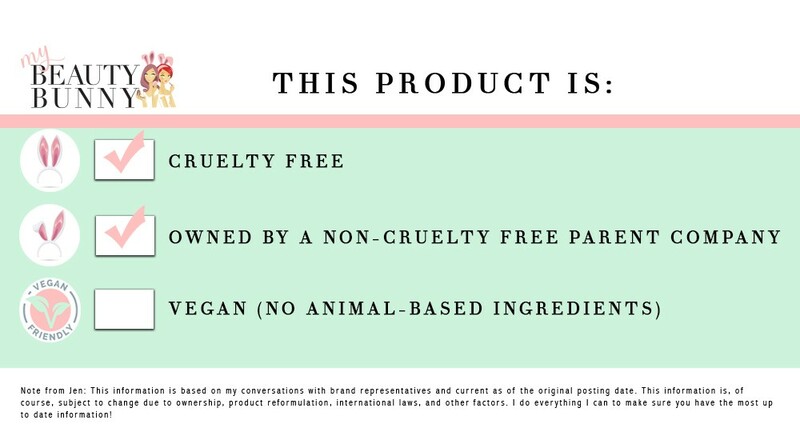 😀 I wasn’t aware of so many brands going Cruelty Free! Food for thought.